Cromdale and Advie Church, near Grantown-on-Spey, is hosting a special Eve of Peace service that will highlight the moving story of each man from the village who fought and never returned. A local church member, Peter Scullion, has painstakingly researched the background of the 23 soldiers over the last year. Members of the community will read out each of their stories in church as a fitting reminder of the personal cost of the war. Mr Scullion describes his research as "a labour of love" and says that it's "about the soldiers - I think it's very important that we don't forget." His work includes the plight of one family, the Shaws, who tragically lost both sons ending their family line. 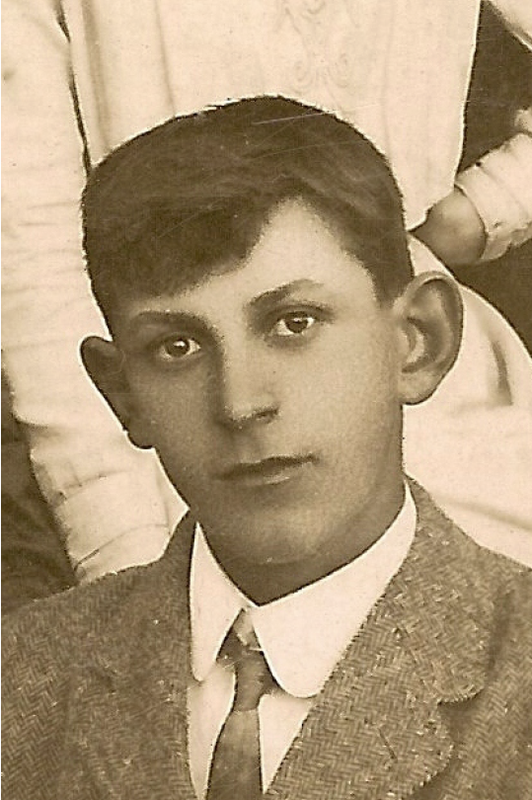 One of the two sons, John, died in the very last week of the war, a week after having been cited for his "conspicuous bravery". The service, which will be led by Rev Mary Duncanson will reflect on the contribution made by those living locally, and its effects on the community, its families and local industries. Representatives from the community, British Legion, Western Front Association, Royal Air Force and members of Grantown Grammar School will also attend. Cromdale war memorial is one of the few that was erected inside a Church, and was paid for by public subscription after the war. 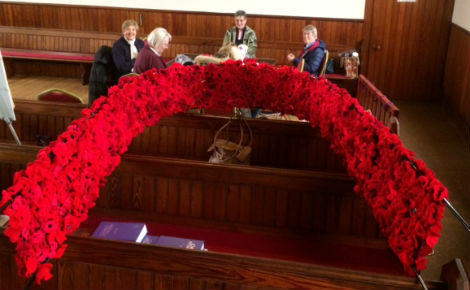 The entrance of the church had been decorated with poppies knitted by the community, and displays in the west window are particularly impressive. Rev Mary Duncanson said: "It's very important that we hear these stories and it will be a very reflective service. "A candle will be lit for each man who died. "The project is bringing the community together - it's really inspired people's interest in the village. 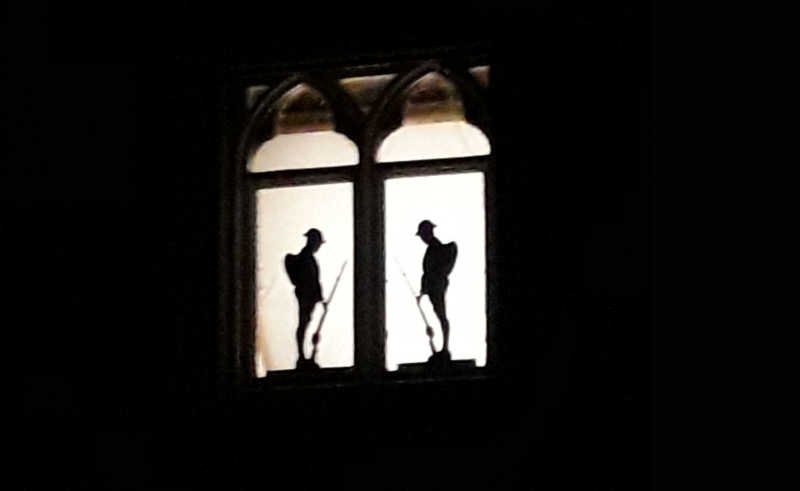 "There's a real simplicity about the way the poppies have been done and the images of the soldiers that we have in the window." All are welcome to attend the service which begins at 6pm on Saturday 10 November at Cromdale and Advie Church of Scotland.